Welcome to Tizen mobile Web application development! Create a mobile Web project using the Tizen Studio. This step shows how you can run the application on the emulator, simulator, or a real target device. 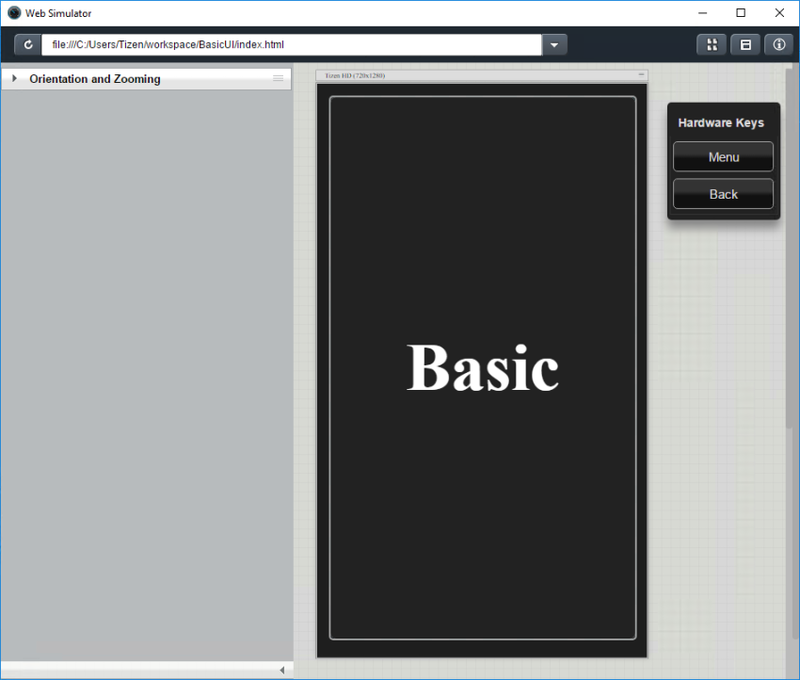 The following example shows you how to create and configure a basic mobile Web application project in the Tizen Studio. An application project contains all the files that make up an application. On the right, the figure shows the application screen after you tap the text. 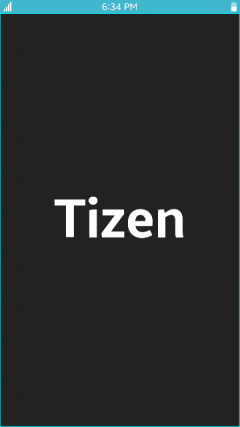 The screen now displays the Tizen text. Tapping the text area switches between the 2 texts. You can run the Web application on the emulator, Web Simulator, or a real target device. Alternatively, you can also select the project in the Project Explorer view and click the run icon in the toolbar. Confirm that the application launches on the Web Simulator. For more information on using the Web Simulator features, see Taking Advantage of Web Simulator Features. 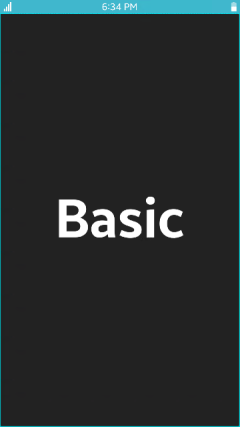 The mobile application created with the Basic UI template has a simple user interface with a text component showing the Basic text in the middle of the screen. 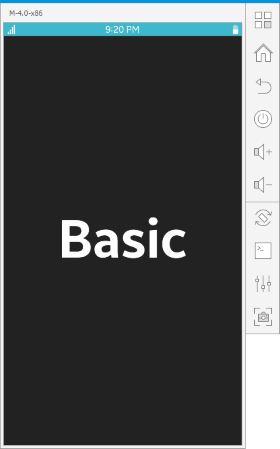 The UI in the Basic UI template only contains one visible text component. To create a more elaborate UI with more components, screens, and functionality, use the TAU library in your application. The following example shows how to create a list and a footer button on a page (screen), create a second page, and move between the pages. Select Template > Mobile v4.0 > Web Application > TAU SinglePage. Open the index.html file. By default, the <body> element of the HTML file contains 1 page (<div> element with the ui-page class) which contains a header (<div> element with the ui-header class) and a content section (<div> element with the ui-content class). The above new styles modify the screen to show a while background for the content area, and a blue one for the footer. Add a button in the footer. When implementing Tizen mobile Web applications, you can use the ui-footer class as a footer area. You can add 1 or 2 buttons to the footer area, by using the <button> elements. The following example shows how to handle the Back key input with page navigation and application exit. Similar code is included in the TAU SinglePage project template main.js file by default.